Last summer, a colleague and I decided to walk to a dessert shop a few blocks from our office on our lunch break. As we approached the parking lot, a van pulled in with a few young men inside who yelled, “Hey ladies, let us get some of that!” At the time, both of us were working as Sexual Violence Prevention Specialists, and I took a chance in talking back to these individuals. I politely shouted back, “Yelling at us on the street like this is rude and disrespectful. No thank you!” They immediately became angry and replied with profanities and derogatory comments. We laughed it off, but secretly I felt nervous, scared, and unsafe – even at 12:30 in the afternoon on a street filled with people. Summer is upon us, and with that brings an entire array of fashion choices – some of which expose skin. I personally love sundresses—but unfortunately, my decision to wear one is often dictated by my destination and whether I will feel comfortable – or safe – in that sundress. This decision-making process is one that women and gender non-conforming people make every day. 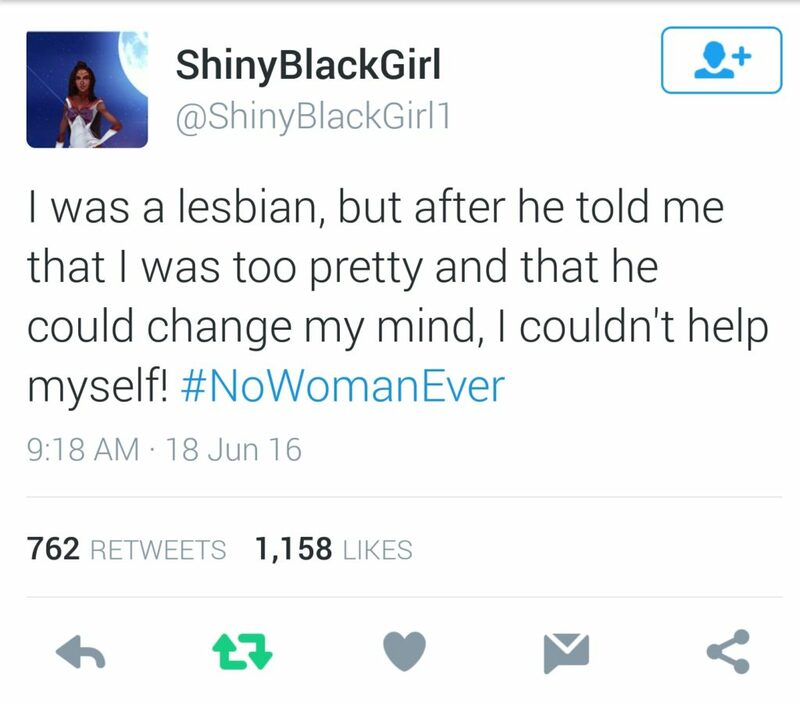 In late June, I came across #nowomanever while browsing Twitter. The hashtag featured countless stories of street harassment (and some of stalking), which spoke to me as if these women knew my life. There were tweets from women of all ages, including teenagers, which unfortunately did not surprise me – based on my own experiences as a teen. Despite the sarcastic tone of the tweets, street harassment is harmful and can be downright scary. It doesn’t only happen to those who choose to dress for the weather, but can occur to anyone at any time and in any place. 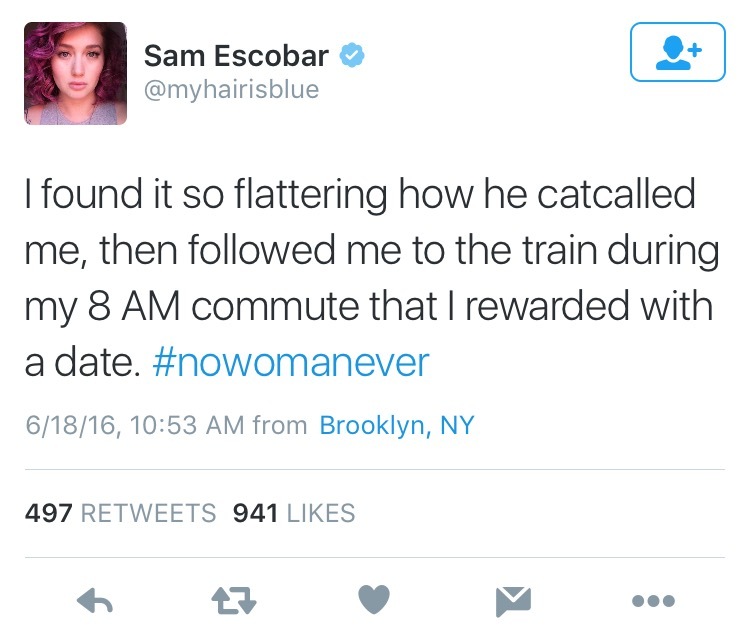 A woman walking anywhere does not justify catcalls, whistling, or any other action of harassment. Everyone has the right to feel safe when they are outside – and that includes feeling safe from unwanted comments about your body. If you see others being harassed on the street, you can choose to intervene in the situation, but only if you feel safe. You can call out the behavior directly, or distract the situation by bringing up a different topic of conversation, such as asking for directions. Familiarize yourself with local laws. StopStreetHarassment.org has a great toolkit with state laws. Check out the National Street Harassment Hotline, launched on July 19, 2016. Visit StopStreetHarassment.org for more information. Kristen Wilson has been working for her local Domestic and Sexual Violence program for three years. She is currently working as a Legal Advocate, providing support and empowering survivors on their journey through the criminal justice system.